to visit my daughter at college. Have you been to the area? of the residence and four major barns. a National Historic Landmark ... and rightly so! my favorite, I know, shocking right? These photos do not do it justice. Mount Mansfield in the distance at Stowe. Sailboat in the waters with the Adirondack mountains in New York as a backdrop. Have you been to this wonderful place? If not, make it a point to see it someday. they are now sending the emailed posts to my subscribers. Je suis époustouflée par l'ensemble de vos merveilleuses photos. Un lieu extraordinaire... une belle invitation. As an aside, it must be really rough to have your beautiful daughter so far away from you?! Your photos are the closest I've been to Vermont. It is DEFINITELY on my bucket list! We love Vermont also! How does your daughter like Burlington? That is a great area with lots to do. I have been to northern Vermont in the winter, but must now must make a return visit. Shelburne looks like a most interesting and beautiful place to learn and simply experience. Many, Many thanks for sharing. When we would visit Lake Placid , our favorite day trip was to take the ferry across Lake Champlain.. What great memories! These images are simply gorgeous! So gorgeous Alison! I have been and LOVE Vermont. In fact was supposed to go on Sat. but the forecast isn't good so we may have to change the plans or postpone the visit:( It is such a truly majestic part of our country.....and it is simply spectacular in fall! one of my favorite trips in the whole world! ahhhhh the sweet dairy cows. aren't they spectacular? never visited this area, and how wonderful you have the best excuse now! Alison so bucolic,so calming to see this wonderfully pastoral setting! What an incredible site. There are so many states in the eastern quadrant of the nation that are on my list. This one was added. Thanks for the preview of what one can expect to see. Wow. Stunning photos, Alison! 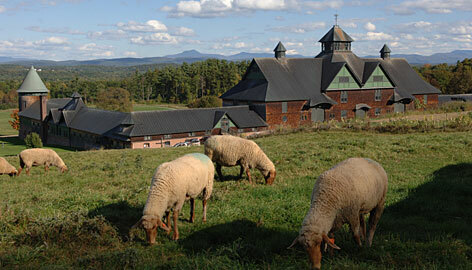 We love going to Vermont and spend most of our time in the Killington area (south of where you were). I have to make a trip up to Shelburne one of these days - so beautiful! Enjoy your weekend! Vermont is definitely one of the world's beautiful places, for its pretty pastoral landscapes, wildlife and charming homes and gardens. I hope to see it in person one day and regret not doing so when I was in the New England states over 26 years ago on a trip to Rhode Island! Thanks for your lovely comment on my guest post at Kim's on Friday!